I know the wait has been long and you guys have been most patient but I am here with some good news. For all those who have used Sunday School lessons presented here in the past and are looking forward to the new, the wait is almost over. I have been working hard behind the scenes (and it has been hard) to get everything the way I want it or to represent what I am trying to do here. And, although it’s been a hard process, it’s been well worth it. I still don’t have everything just the way I want it, but I don’t want to prolong the process of restarting lessons any longer. In Matthew 13:45-46 Jesus told the parable of the pearl. In that, He said, “Again, the kingdom of heaven is like a merchant seeking beautiful pearls, who, when he had found one pearl of great price, went and sold all that he had and bought it.” This parable has been explained by some as Jesus being the merchant who sold all (He gave up everything) to obtain His pearl (people, believers, the Church), showcasing His awesome love for us. And, it has been explained as the pearl being the kingdom of Heaven that one seeks after, letting go of everything, to follow Him. No matter which way you view this parable, His holy Word is the greatest resource to open our understanding and to learn of that glorious kingdom and all that Jesus has done for us to get us to heaven with Him. I have been wanting for some time now to develop a lesson series around this pearl theme because I believe His Word is to be treasured. So, you will notice the pearl theme running throughout the lessons. But, it’s not just there for aesthetic reasons. Each letter of the word “pearl” will indicate some instruction ideas on presenting the lessons for you to use at will or not (it’s up to you on how you want to present each lesson). P – (People, Places, Periods, and Points of Interest Leading up to the Lesson) – This section will help to organize background facts that will support each lesson. E – (Easy Exploration Word Summary – with the full lesson being available on separate pages) – This section is a short, overall look of each lesson. It can also be used as a short total lesson (especially for younger audiences) for when time is not abundant and you need the meat of the lesson to be explained quickly and in easy to understand terms. A – (Active Learning Assignments) – This section opens up different ideas for activities to support each lesson. Hearing and listening to a lesson is awesome. After all, “Faith comes by hearing, and hearing by the word of God” (Romans 10:17). But, when there are other activities associated with it, it can help further the retainment of that information. These ideas can be simple directions for things to do to help you experience the lesson on a deeper level or they can be activity sheets like word searches and such you’ve seen here before, crafts, and/or journaling pages for adults and children. I have tried to incorporate ideas for varied age groups. R – (Review, Reflect, and Remember) – This section is exactly as it states: a place to review the base information of the lesson usually in the form of the memorization of the main/base verse and a question review page. L – (LOL! – Living Out Loud) – This section takes us beyond the classroom into our everyday personal lives and gives ideas for remembering, reflecting, or instituting the lesson there. One very important thing you may notice is that the lessons may or may not fall in line with your current curriculum and they may or may not be published every week. This new format takes an incredible amount of time to put together. But, my desire is to build a Sunday School Bank of lessons and ideas that can be widely used and readily available for any teacher, leader, or layperson who finds themselves in a pinch to teach and needs access to a quick, complete lesson with activity ideas. I hope these new lessons will be a blessing to you! Keep your ears and eyes open for the start date of when new lessons will begin to roll out. Until then, many blessings to you all! *I have made revisions to this original announcement which was published September 13, 2018, with the name of each section varying some into one-word expressions that tell what each section is for such as P-Prepare, E-Explore, A-Activities, R-Review, L-Life. This allows for an easier understanding of the varied sections. 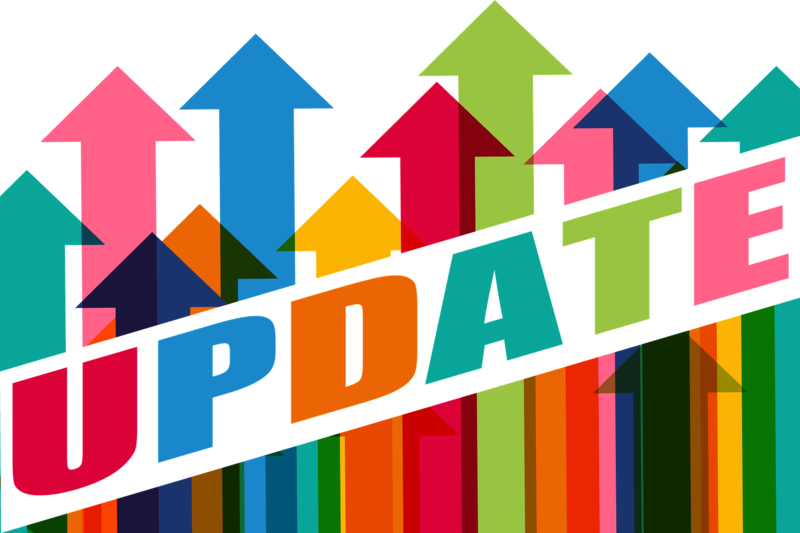 **What I publish and share here will not be solely based around any one curriculum (see above update announcement from September 13, 2018). Curriculums are too varied for me to support them all. Therefore, most of the lessons published on this site will be independent of any particular curriculum. This also gives me the freedom to explore subjects and take my time and invest properly in each lesson and/or series more thoroughly without the constraints and rigid time schedule needed to keep up with any curriculum.